As far as old sayings go, “no good deed goes unpunished” is one of the all-time greats. Are you worried your medication has expired? Has one of your teenage kids developed a nasty Oxycontin habit after you threw your back out and got some pain pills? 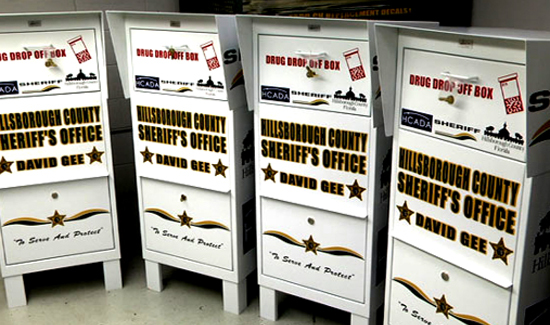 Just bring the bottles to the police station and drop them off anonymously in the 24-hour prescription drug drop-box. In Vermont, Winooski Police Department officials are rethinking their drop-box initiative after revelations that withdrawals were being made in addition to deposits at a neighboring agency’s drop-box. A detective at the nearby Colchester Police Department admitted to investigators in November to taking prescription narcotics from that station’s drop-box. One of the problems with the well-intentioned effort was record keeping. The Colchester police had no system in place to determine when the drop-box’s contents was placed in the evidence room.